As Americans age, and live longer and more productive lives, there is an ever-growing need for health care personnel to provide on-going care. Cecil College has developed certificate programs that prepare you academically, technically, and professionally to begin a new career in health care. Be sure to check out our credit programs in Health Professions for more options. Our certificate programs help you to acquire knowledge, skills, and experience in a planned and timely manner. Each program includes classroom training that focuses on the technical and professional requirements of your specific area of study, as well as a clinical externship that provides an opportunity for hands-on learning in the actual environment in which you will be working upon successful completion of a program. 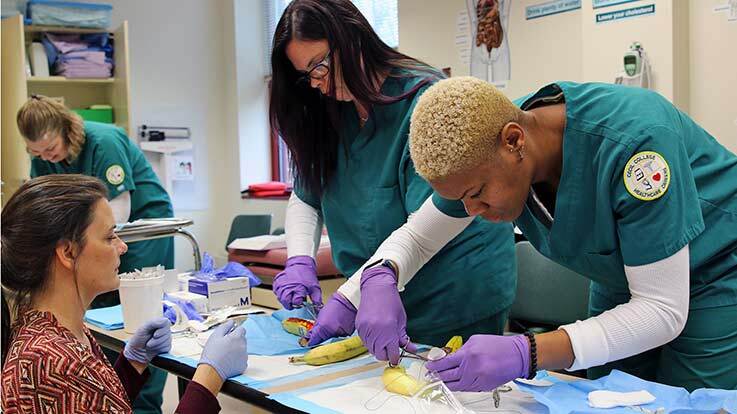 Our programs are developed based on employer expectations and prepare students to either sit for a national certification or apply for the appropriate Maryland Board of Nursing certification. If you are looking for a career with unlimited learning opportunities and growth potential, health care may be right for you.